Improving your EPC Rating | How to Save by Being more Engery Efficient. How energy efficient is your home and how can you improve it? It’s no secret that we’re all slowly becoming more environmentally conscious as the real concern of global warming and our attempts to save energy and help reduce global emissions. So how energy efficient is your home and what can we do to improve it over time? The easiest way to check this out is it take a look at your EPC (Energy Performance Certificate), you can do this at epcregiaster.com by simply entering your postcode. Insulating your loft can provide a huge boost to your energy efficiency. Ideally, you want to make sure your insulation is at least 270mm thick to create the best impact. You are probably thinking this is an expensive job, however, a new energy efficient model will save you a lot of money and hassle in the long run. Also, if you have a fireplace it may be worth installing a wood burning stove. These score highly in EPC ratings, are eco-friendly and could be an attraction for potential buyers. 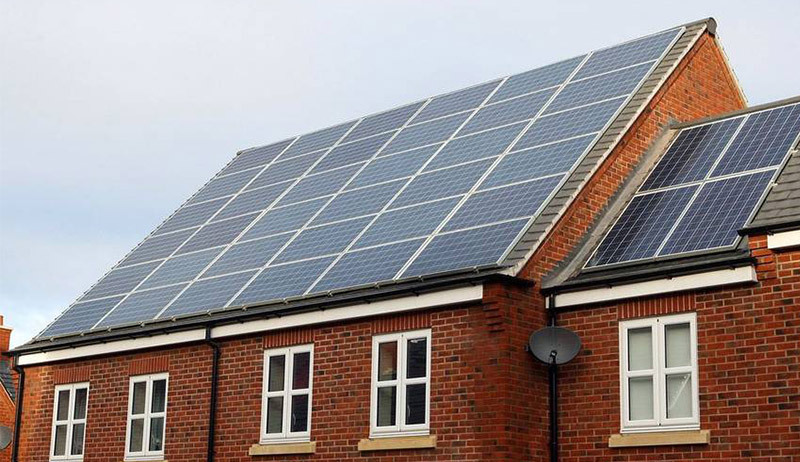 It’s probably not as expensive as you think to install solar panels on your home. You can easily harness the power of the sun and make huge saving to your monthly energy bill. Smart meters won’t automatically lower your energy bills, but they can help you control your usage by displaying your readings in real time. They’re free to install (just ask your energy company) and because readings are sent automatically, you don’t have to lift a finger to get accurate bills, so there’s no more rummaging around in the cupboard under the stairs. Nice one!